The local café can be the heart of any community. Building up a strong customer following and providing passers-by with a little light relief in an otherwise busy day means that the average café is busy all day long. But just like any other business, a café has to have the right insurance if it’s to succeed. 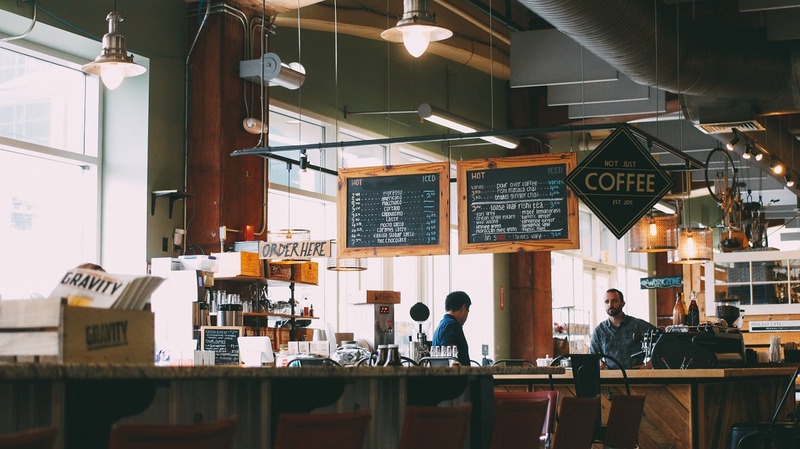 And if you own a café – whether you serve a ‘great British fry up’ or Vegan carrot cakes – you need to protect yourself and your business with the correct café insurance. And that’s where we can help. For over 30 years Park Insurance has provided the local community in Bristol and businesses further afield with specialised insurance packages that are tailored specifically to individual business needs. We use our experience, expertise and position as the preferred broker to many of the UK’s largest insurance providers to find small and medium-sized businesses affordable cover. We know that there’s no such thing as a ‘one-size-fits-all’ solution, so we work with you to find out more about your business, your goals and the kind of protection you want to put together a bespoke insurance package just for you. Public Liability Insurance – although not compulsory, you would be well advised to protect yourself and your finances by taking out PLI. This gives you cover in the event a member of the public is hurt while on your property or as a result of your actions. Employer’s Liability Insurance – if you employ anyone, even if they’re a family member, only work part-time or are sub-contractors, you must by law have Employer’s Liability Insurance. Buildings and Content Cover – normal buildings and content insurance (such as the type you have at home) is not suitable for commercial premises, especially catering businesses. So make sure your B&C cover is specifically designed for businesses, rather than domestic cover. Stock Cover – If you keep a lot of stock refrigerated then stock cover protects you financially should your system fail. Key Personnel Insurance – if you rely on a key member of staff such as a chef and they leave unexpectedly, key personnel insurance gives you some measure of financial cover while you source a replacement. Business Interruption – if your business is shut down for reasons such as flood, fire or acts of terrorism, you won’t be able to earn a living. Business interruption gives you a limited income until you can open up again, so at least things such as wages bills, rent, rates and invoices are paid. Other insurance cover you can consider include money cover to protect your on-site cash, commercial vehicle insurance and that all-important legal protection. For three decades, Park Insurance has been working with the local businesses of Bristol to provide tailored, bespoke insurance cover. Contact us today and talk to one of our friendly advisers and find out how we can help you put together the right café insurance package for your business – at a price you can afford.